ThePensters.com is one of the online writing services that’s been in the industry for many years, starting about 2009. However, we are still including this service in our reviews so as to help students make a wise choice and avoid disappointment. In order to give the most accurate review, we tried to investigate the site, looked into the testimonials provided by previous clients, checked out their prices, guarantees, policies, etc. We also did not only rely on the reviews given by the site itself, but we looked into reviews from outside the site too. And for best results, we also placed an order to experience the site ourselves. 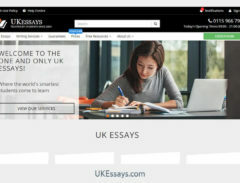 ThePensters.com offers versatility in their academic writing services because you can order essays, book reviews, dissertations, case studies; name it and they can offer to write it for you. It also doesn’t matter if you are ordering a high school level paper or a college level paper, they will still accept your order. In our case, we ordered a college level research paper. Although the service is mostly focused on custom writing, we found out that upon request to the writer, they can also do business writing. Prices for their services are fair and you can even negotiate with your writer to make it lower. In our case, we ended up paying $148.00 only. If you are hoping to get a discount for their services, you will only be disappointed because they do not offer any discount in promo or coupon codes form or anything. You can only negotiate with your writer so you can come up with a rate that both of you agree upon. If you are also expecting something more to get from this service, there is nothing to expect. They do state their plagiarism-free guarantee as well as paying upfront fees and that you won’t be paying a single cent until the paper is approved by you, but other than that, there are not additional features. ThePensters are lacking when it comes to customer support. There is no other way to contact support but through email, unlike other services where there is a 24/7 chat. Email is not bad, but the problem is that you won’t get the help you need right there and then. Usually, it takes more than a day before they can reply to your email and attend to your problem. In short, their support is not reliable for emergency situations. In terms of convenience, their site is user-friendly because it is easy to navigate, meaning it is easy to find your way there. They also provide a list of their essay writers with their contact numbers. They also have footer pages as well as blogs, but they are mostly about essays. How the blogs were written is also not impressive. We found terms used on the blogs that seem to be invented only. An example is a blog entitled, “7 Troublous Questions for a Research Paper”. Really? This gave us a twinge of doubt about the writing quality they can deliver. We also tried to look for a BBB membership to at least, give us comfort about this site, but there is none. ThePensters.com claims that they have 400 writers in their team and that all of them are excellent and have the highest qualifications ever. To prove this, we looked into their writer profiles and we did find information about what type of papers they have produced. Now, anybody can state anything in their profile, but what we’re actually looking for is to verify the information given and that is what we couldn’t find. We even tried applying as a writer and we were disappointed because we were redirected to another company, the Essay Shark. This only gave us a hunch that they may be using EssayShark writers to write for ThePensters.com clients. This is not a good thing because EssayShark, so far, has poor ratings, according to our reviews. We now looked into what previous clients have to say about this service. What we found are complaints about the quality and how the writers cannot follow the specific instructions they have given. They couldn’t even get a refund for their payment, even if the site promised that. Even without the BBB membership, ThePensters do deliver the output and this means they are not scams. In terms of site usability and accessibility, you have no problem with ThePensters.com. The price is also reasonable. But in terms of quality, we are not so comfortable with the quality of the papers they deliver. This is why we are only giving a “fair to poor” rating for this company. 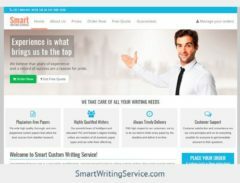 If you can negotiate with your writer well and make sure they can really write quality papers, you can go for this site. But if you do not have the patience to do so, consider other companies.